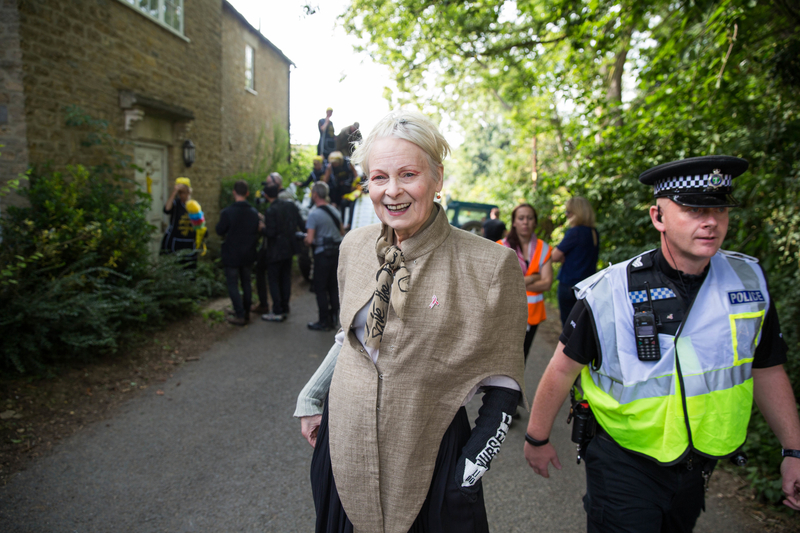 Designer and social activist, Dame Vivienne Westwood rode to Prime Minister David Cameron’s Oxfordshire constituency home this morning in a tank in a dramatic protest against the Tories’ introduction of the devastating practice of fracking to the UK. 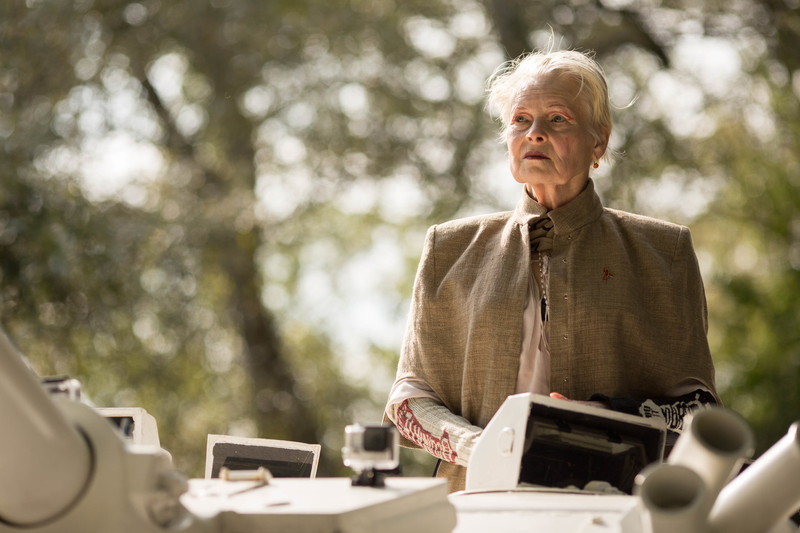 Madame Soho accompanied Westwood as she rode in the tank in protest over the 27 licenses issued by the Tories to carry out the deadly practice in the Midlands and the North. Anti-fracking campaigners wearing masks also accompanied the tank, which stopped and parked outside the PM’s home in Chadlington, Oxfordshire. The social activists included grandmothers and their grandchildren from Lancashire, the most recent area to be hit by the deadly practice. 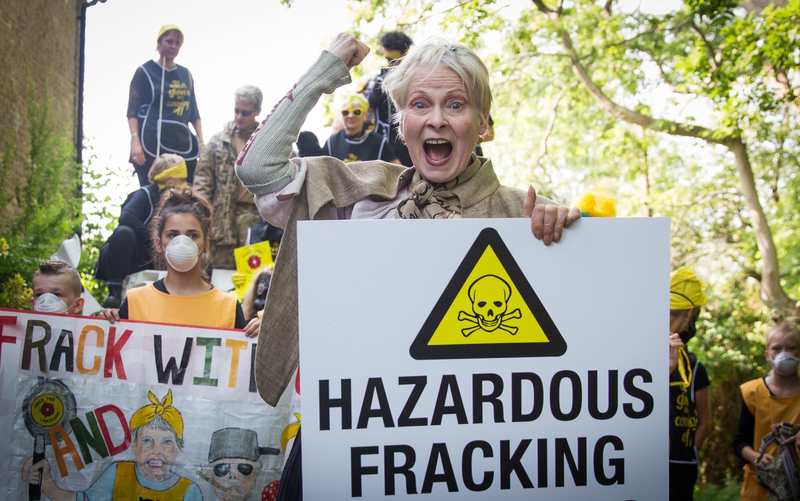 The new fracking licenses grant huge corporate gas and oil companies like Cuadrilla the power to dig beneath people’s homes using heavy, noisy, industrial machinery in order to extract gas and other materials from the earth. In the U.S, according to the Pennsylvania Alliance for Clean Water and Air, 16,447 people have already died as a result of fracking, and more have become sick with serious health problems. The inspiring, legendary designer and punk continues in her role as a voice of the people to take direct action against social and political issues that she feels strongly about. Well done, Viv.